Marcos Sueiro Bal is the Archives Manager at New York Public Radio. Marcos is Co-Chair of the Technical Committee at the Association of Recorded Sound Collections, and was part of the Collection Management Task Force that drafted the Library of Congress National Recording Preservation Plan in 2012. In 2011 he co-translated the definitive text on audio preservation, Guidelines for the Production and Preservation of Digital Audio Objects. He is a member of the Standards Committee of the Audio Engineering Society, and director of the Education Committee of the Archivists Roundtable of Metropolitan New York. He mastered and restored 2011’s Jacqueline Kennedy: Historic Conversations on Life with John F. Kennedy, and was nominated for a Grammy for his work on 2008’s Polk Miller and His Old South Quartette. 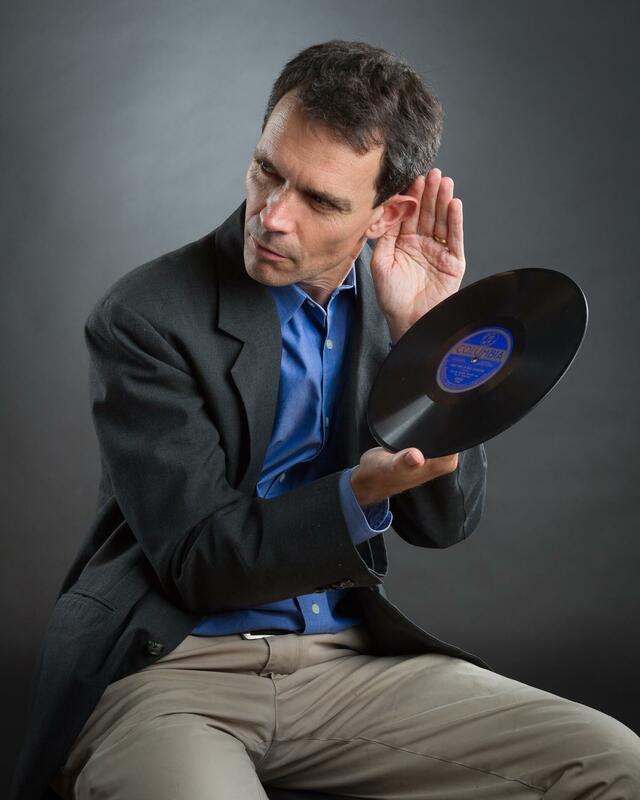 He has worked at the Alan Lomax Archives, Columbia University Libraries (where he developed AVDb, a preservation prioritization tool), Masterdisk mastering studios, and Emory University. He teaches Audio Preservation at Long Island University's Palmer School of Library Science. How the world viewed America in 1995. When Giuliani helped Fox News get into your home. "Who is the leader of the American working class today? Nobody knows", says Sanders. Escaping the last longest shutdown. WQXR pioneered Spanish classes in 1943. Bob, Where Do You Keep Your Grammys®? Saving the world's audio heritage is a group effort among passionate characters. Poverty, abortion and civil rights. Looking at the ratios before the riots. So Ya Think Ya Know Yer Morning Edition Hosts? Soterios Johnson is gone. Can you identify these six earlier hosts? An aural glimpse of WNYC's early history. In Early Therapy, Equal Doses of Caution & Optimism. By Marcos Sueiro Bal / David L. Morton, Jr.
60 Years Ago, Audiotape Coming from Opelika, Ala., was among the World’s Finest. But who was Molly, the Irish Nurse? Legendary folk singer Pete Seeger reminisces about life, politics and narrow escapes. 76 years ago today, a resolute Mayor La Guardia spoke against the practice of free passes to city events. What lurked behind William O'Dwyer's charmed life?